Cardinal Timothy Dolan, archbishop of New York, retorted New York Gov. Andrew Cuomo’s accusations that Dolan, as a member of the “religious right,” intended to repeal women’s rights. Dolan challenged Cuomo to stop “hiding behind labels” of ‘far-right’ and ‘Catholic’ and engage in the debate on abortion with honest terms. The argument between the two stems from Cuomo’s signing of New York’s latest abortion law, which codified abortion as a woman’s right. “This is something new from the governor. He did not consider me part of the ‘religious right’ when seeking my help with the minimum wage increase, prison reform, protection of migrant workers, a welcome of immigrants and refugees, and advocacy for college programs for the state’s inmate population, which we were happy to partner with him on, because they were our causes too,” Dolan wrote. “I guess I was part of the ‘religious left’ in those cases,” Dolan added. The law also allows for people other than doctors to perform abortions and takes abortion out of the criminal code and puts it in the public health code. 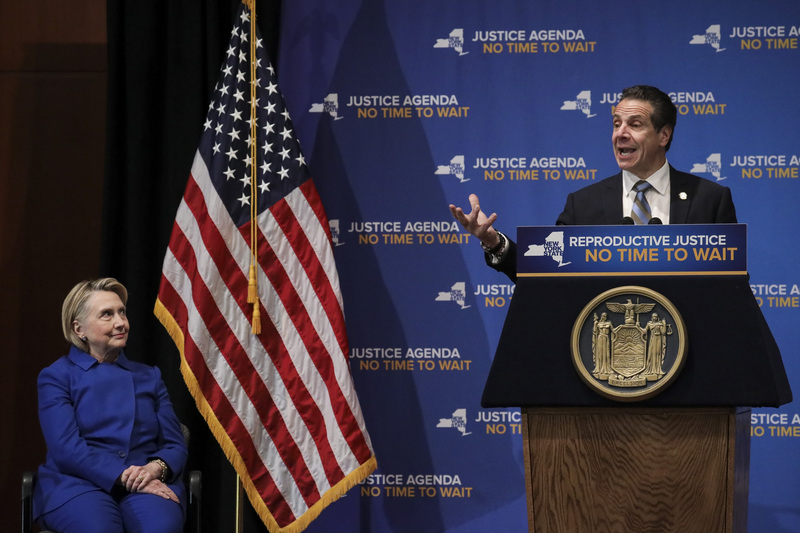 “Activists on the far right continue to mislead with the ridiculous claim that the act will allow abortions up to a minute before birth,” Cuomo wrote in a New York Times op-ed. “While Cardinal Timothy Dolan, the archbishop of New York, and the Catholic Church are anti-choice, most Americans, including most Catholics, are pro-choice. While governments may very well enact laws that are consistent with religious teaching, governments do not pass laws to be consistent with what any particular religion dictates,” he added. Dolan retorted that while religion is personal, it is a far cry from private, as exemplified by Martin Luther King Jr.’s public and religious advocacy for the Civil Rights movement — a movement that Dolan and other Catholic leaders believe is inextricably linked with protecting the rights of unborn children. Dolan also refuted Cuomo’s characterization of the pro-life cause as a Catholic or “far right” issue, noting that the movement has allies among adherents of many religions and among atheists. “The civil rights of the helpless, innocent, baby in the womb, as liberal Democrat Pennsylvania Governor Robert Casey once remarked is not about ‘right versus left, but right versus wrong,'” Dolan wrote. “Debate abortion on what it is. Don’t hide behind labels like ‘right wing’ and’Catholic,'” he later concluded.